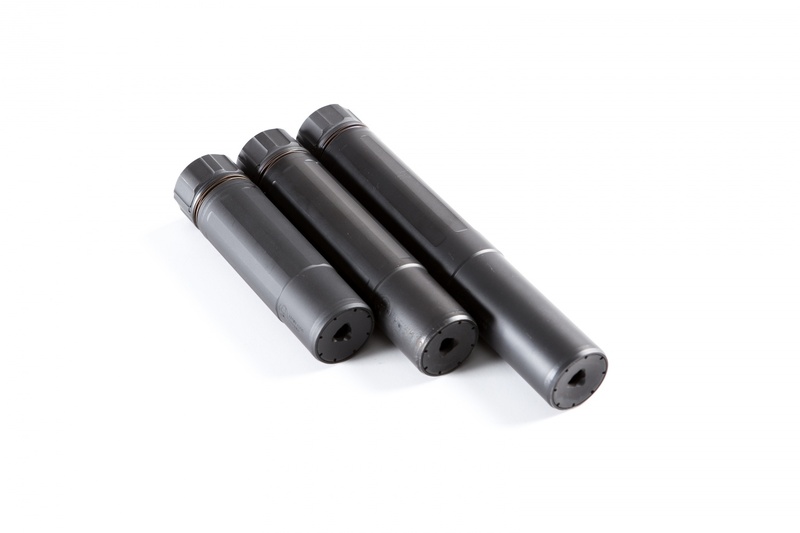 The discussion about buying, owning and using silencers primarily revolves around overall sound reduction. As in, “how quiet can I get my pistol or rifle?” And that’s great – I’ve been known to chase a few decibels myself. 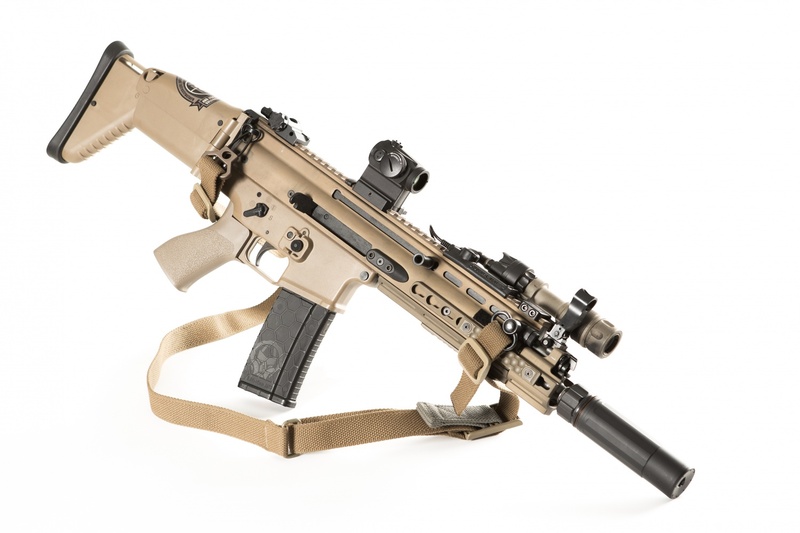 However, when we discuss suppressing centerfire rifle hosts, especially those with longer barrels, extreme signature reduction can (and probably should) take a back seat to the length and weight the silencer adds at the muzzle. 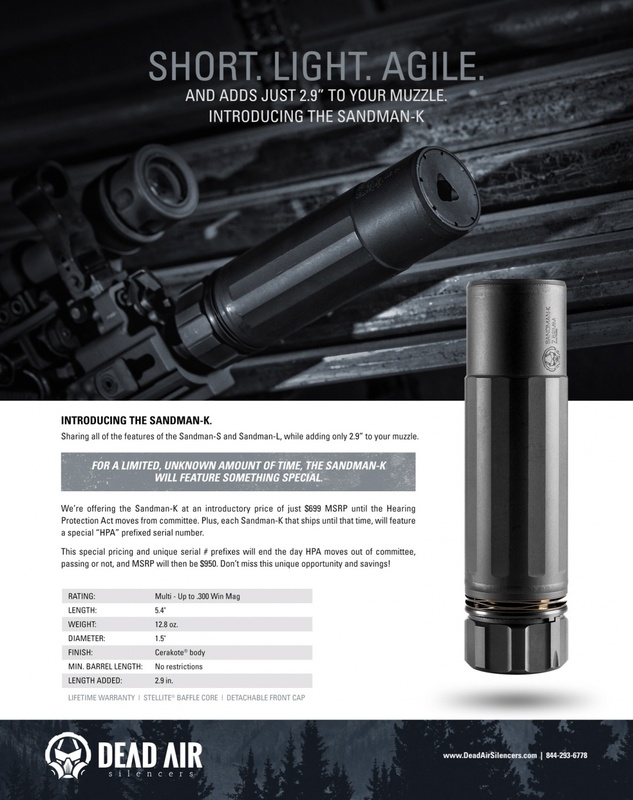 In that vein, Dead Air Armament is giving us an advanced look at their newest/shortest rifle silencer release: the Sandman-K.
At first glance, the 5.4″ long and 1.5″ outer diameter can may seem like a status quo for the Dead Air team, however weighing only 12.8 ounces and adding only 2.9″ past the muzzle device is a big deal for a .300WM rated silencer. The 5.56mm decibel ratings are 149 at the muzzle and 140 at the ear respectively. Not too shabby for a silencer with a flash hider-sized footprint. 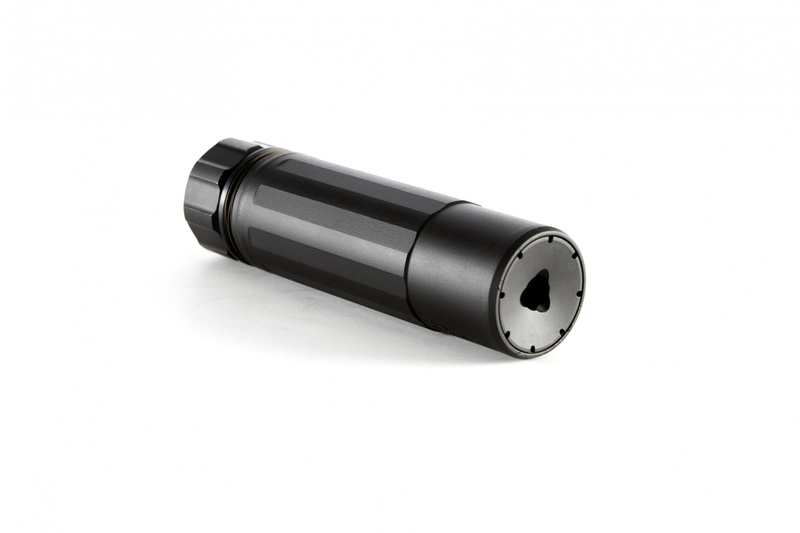 The Kürz can features the same Key-Mount quick detach system found on the rest of the Sandman family as well as a full stellite baffle stack and a replaceable end cap. 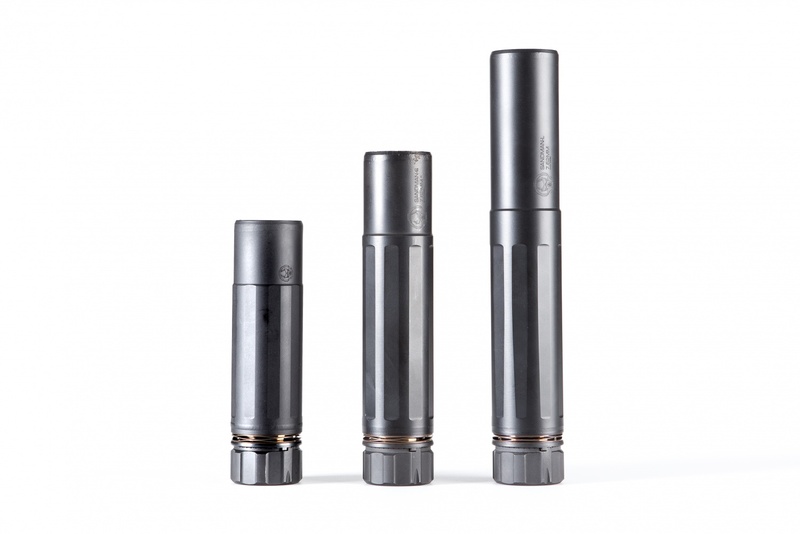 Dead Air is kicking off the Sandman-K with a bonus: from now until the time the Hearing Protection Act (HPA) leaves the house or senate committees, each siliencer will be stamped with a limited run HPA serial number prefix. The MSRP will also be reduced by $250 to $699 until (if/when) the HPA gains momentum. The first fifty units are already made and will be available at a launch party held on June 20th. Details will be available on Dead Air’s Facebook page. Dead Air was founded by Mike Pappas, and if that name rings a bell, it’s because Mike co-founded another silencer company back in 2008. Among others, Mike is also teamed up with silencer designer Todd Magee. 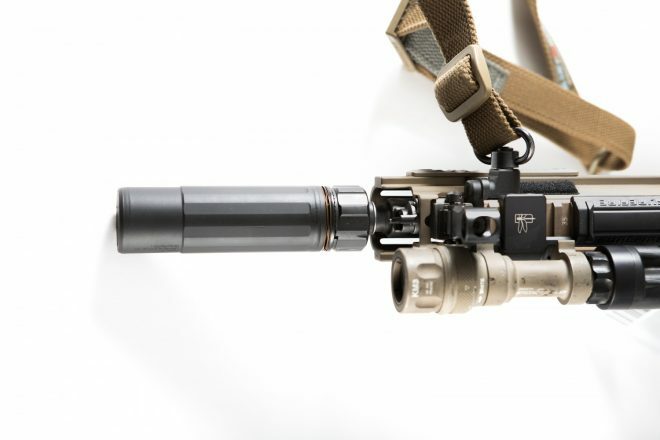 Mike and Todd have set out to build the best suppressors on the market. There is no substitute for experience.